Document Control provides all the tools you need to track, organize, and manage any type of documentation. 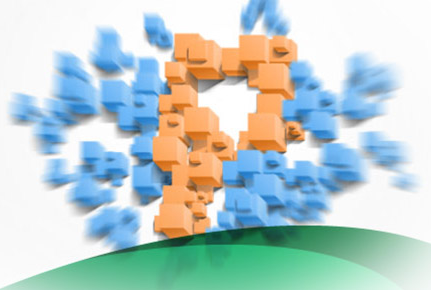 Advanced query features allow sorting and filtering of the document list. As your business grows and develops more and more documents that need to be controlled, the list of documents to be maintained can quickly become unmanageable. 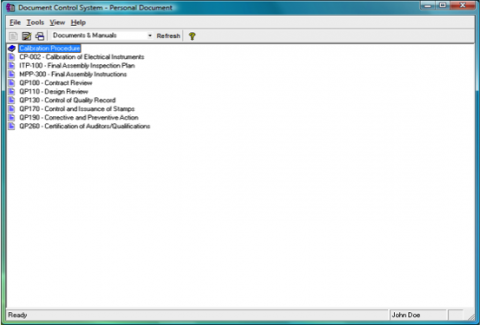 Sorting and filtering the list of documents allows you to quickly locate and address specific documents. 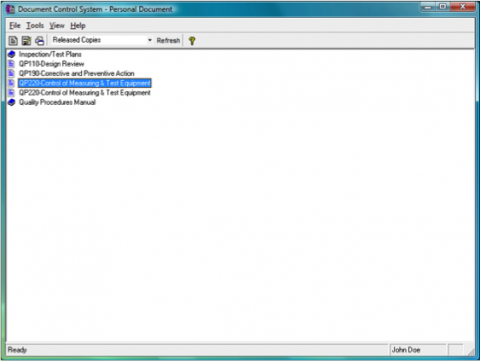 This data-entry form includes built-in and user-definable fields to describe the document, its revision history, released copies, and record notes of any kind regarding the document. 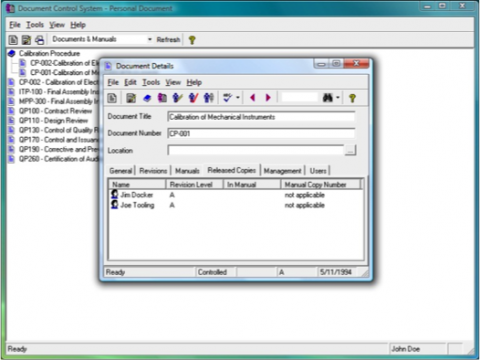 Tracking released copies is arguably the most important aspect of document control. 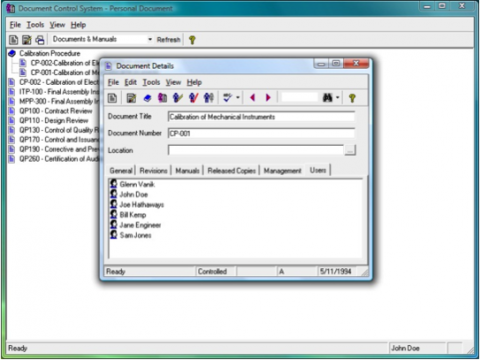 When a new version of a document is completed and ready to be distributed, Document Control tracks who has printed or electronic copies of every document in the system. 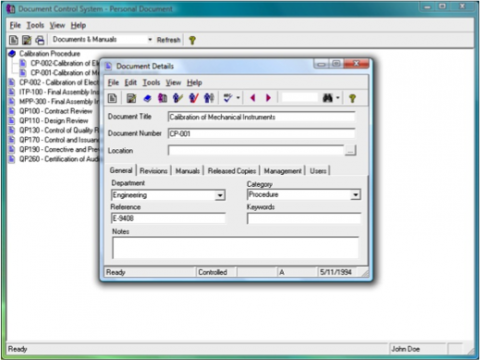 Instantly print the information you are looking at on the screen or generate detailed reports and graphs on documents. 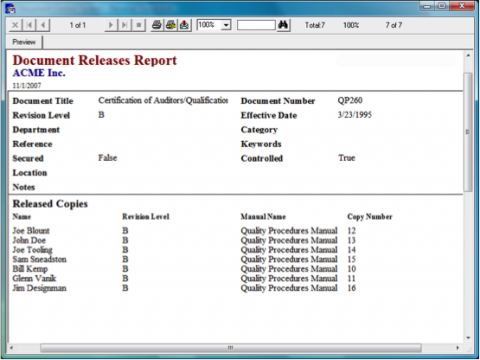 Reports may also be saved in excel or .pdf formats. Managing which users have access to change or see a document is the other critical component of document control. 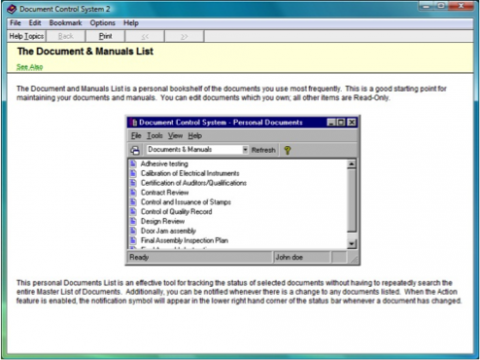 The Document Users page of each record in Document Control allows that control. Document Control is designed to be as easy to use as possible, but help is always available if it is ever needed.